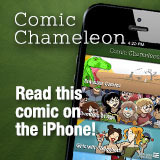 The giant banner under the comic navigation is correct! A week from Saturday I will be in Maryland for SPX, with books and arts for you! Here’s your giant Joyce on Tumblr.